Another Salomon product makes the cut and it’s not very surprising to see why. Salomon may have their own issues when it comes to setting quality-control standards, but they are one of the top leading innovators in design. 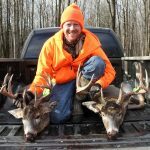 Their passion for the outdoors and their dedication to setting quality and performance standards give credence to any product they bring to the market. The Salomon X Ultra 3 Mid GTX is favored among moderate and heavy hiking enthusiasts alike. The highly versatile design offers the options to wear these boots on the trail or to the office, providing support, style, and comfort every step of the way. Issues regarding heat retention and sizing offsets have been a troublesome occurrence, though there is something to be said about the consistent quality of materials used by Salomon. 11 color choices provide the wearer with many customizing options. Great traction from two different kinds of rubber used in the soles. Foam-surrounded advanced chassis technology for comfort and support. Specially designed patterned area on the heel for better terrain grip. 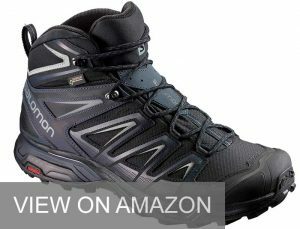 Overall, the Salomon Men’s X Ultra 3 Mid GTX has the important angles covered, though if any one of the previously reported issues happens to befall your purchase, you will at least have the recourse of utilizing the 2-year limited warranty provided by Salomon. The Oboz company began approximately a decade ago in Bozeman, Montana. With a deep passion for all things nature, the Oboz company has made a dedication to plant one tree for every pair of Oboz they sell, and so far claim to have planted over 2 million. Located in the vast Greater Yellowstone Ecosystem, their passion for the outdoors and love of their local community gave way to their name, combining ‘Outdoors’ and ‘Bozeman’ to create Oboz. 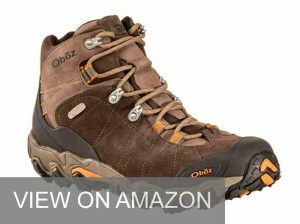 The Men’s Bridger BDRY Hiking Boot is Oboz’s latest in comfort and technological design. Touting many advanced features, this model holds a steady candle to the competition. 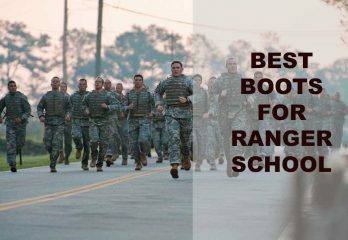 Drawbacks exist in the form of some low-quality boots received and some instances of bruising, despite their proclaimed use of anti-bruising technology. Oboz definitely lives up to their reputation for being passionate about the outdoors. It seems the Men’s Bridger BDRY Hiking boots, though they deliver exceptional style and are made with undeniable high-quality fabrics and materials, leave something to be desired in terms of long-lasting waterproof viability. In 1947, Francois Salomon and his son George, with a passion for skiing and hiking in the French Alps, started a company dedicated to innovative design. They are the original inventors behind many modern skiing equipment concepts and the company has committed itself to create new quality footwear. With their durable and flexible designs, Salomon hiking boots provide the support needed for those long hikes across tough terrains. As with anything, though, there are ups and downs to these boots, and specifically the Men’s Quest 4D 2 GTX model. Waterproof Gore-Tex technology to keep your feet dry in all weather conditions. Molded EVA Ortholite footbed that is removable. Thick mid-soles to help absorb shock. One of the heaviest of these lightweight options. Minimal color and size options. Reported complaints regarding stitching and quality control issues. Overall, the Salomon Men’s Quest 4D 2 GTX boots definitely hold their own against the competition and are a stand-out choice for those considering investing in new lightweight hiking boots. 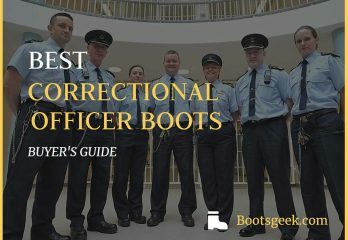 Though these boots have experienced some technical issues- such as inadequate stitching, sole separation, and quickly degenerating wear and tear- it seems most of these errors are seldom enough to not be inherently representative of the quality as a whole. 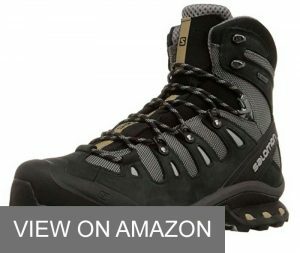 As such, this model reigns supreme when it goes up against other 2018 lightweight hiking boots. Lowa is a European based footwear company touting 100% handcrafted products. Their items have been well-received both locally and internationally. Lowa has made a firm commitment to providing excellent quality and prides themselves on their customer satisfaction. 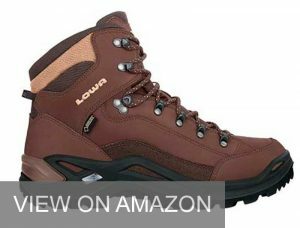 The Lowa Renegade GTX Mid Hiking Boots are a testament to how comfortable waterproofed hiking boots can truly be. Without sacrificing on the technical design, this Lowa model promises to deliver functionality alongside style and advanced features. Though Lowa has proven time and again they provide customer support which typically goes above and beyond what is necessary, they seem to fail somewhat in regards to keeping consistent with industry-standards and delivering on expectations. 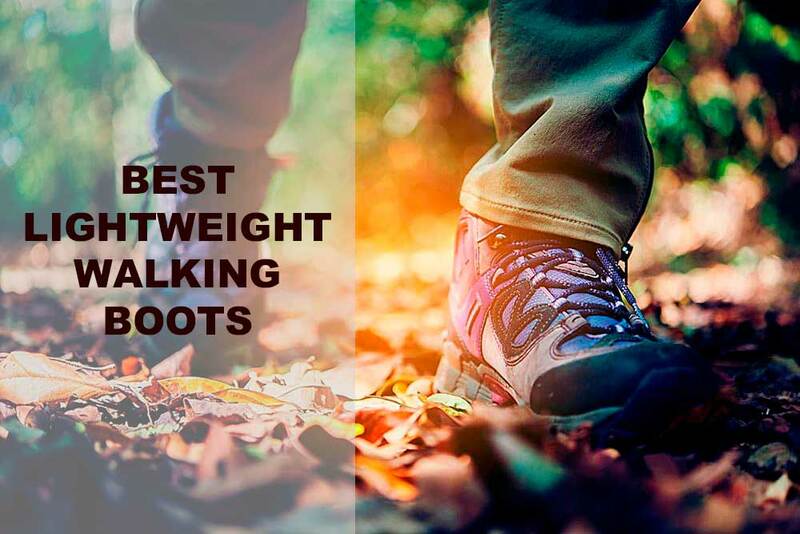 This model is one of the most versatile options, though it stills has a long way to go to be considered the best choice for lightweight hiking boots. Merrell Footwear’s founder, Randy Merrell, was an outdoor enthusiast who got his start in the outdoor footwear industry by crafting handmade custom hiking boots for his friends and fellow hiking enthusiasts. The quality and design of Merrell’s boots have been raved upon by many over their 30 years in business. They’ve set strict quality-standards to maintain excellence and are committed to delivering boots crafted in with a ‘no compromise’ approach. The Merrell Moab 2 Mid Gtx Hiking Boots fall in the heavier category of lightweight hiking boots available in 2018 and are exactly what one would expect, though they do provide more color options than any other boots on this with the exception of the Salomon X Ultra 3 Mid GTX boots. Having been referred to as both “all-terrain slippers” and “inferior product”, the pros and cons regarding this product may not be entirely reflective of the parent company, rather of other third-party sellers. EVA contoured footbed with zonal arch and heel support. Better for hiking in cooler temperatures- high heat retention. Hikers put their faith in their footwear and the reliability and durability of their hiking boots can mean actually the difference between life and death- or, at least no discomfort to major discomfort. Taking into consideration all the features, qualities, and issues brought forth by Merrell Men’s Moab 2 Mid Gtx Hiking Boot wearers will ensure you’re choosing the right footwear for your specific hiking needs. As another Danner product, this model lives up to the expectations of other Danner products and comes in at under a pound, making this model the lightest of the lightweight hiking boots on this list. Danner’s commitment to deliver quality products is represented by the many options and features they provide on a consistent basis. 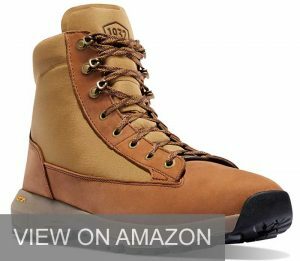 The Men’s Explorer 650 6″ Full Grain Hiking Boots are known for being true to size. They are also waterproof, as well, and deliver the traction and durability benefits as advertised. Drawbacks to this model revolve around issues with true to size fit and too fast degeneration from normal wear and tear. The Danner Men’s Explorer 650 6″ Full Grain Hiking Boots are definitely a great option for those considering an incredibly lightweight, waterproof hiking boot. The consumer should take into consideration the lack of ventilation is due to the waterproofing feature and understanding what terrain is best suited to any type of boot before purchasing. Adidas is a well-known German-based company which has been delivering quality and affordable footwear, as well as clothing and accessories, to the world since 1949. It is ranked as the first largest sportswear manufacturers in Europe and the second largest in the world, coming in just behind Nike. With their stylish designs, innovative technologies, and international appeal, Adidas footwear is an obvious favorite for many an outdoorsman. The Adidas Outdoor Terrex Swift R Mid GTX Hiking Boots set a new standard for balancing comfort and versatility. 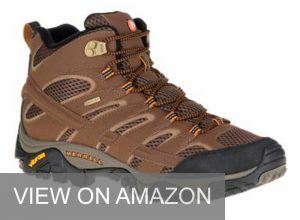 The waterproof design and reliable durability make this a decent choice for many looking into lightweight hiking boot options. Issues surrounding this model are present and should be considered before making a purchase. Great traction in difficult terrain such as dirt, much, snow, etc. The intricate speed-lace system is non-essential and takes away from the innovative design. If you choose to go with Adidas because you trust their brand reliability, its best to buy directly from their parent site, otherwise you might be disappointed in the product you end up receiving. If you plan to hike in cold weather, a different boot would be a better option. 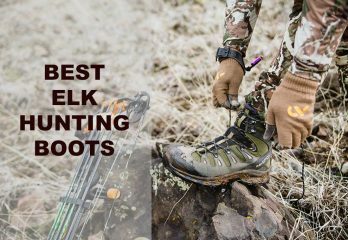 Though this model is lightweight and provides great traction and durability, the drawbacks are definitely something to consider heavily before purchasing. Being one of the oldest establishment on this list, La Sportiva got its start in 1928 when Narciso Delladio began crafting clogs and boots for Italian lumberjacks and farmers in WWII. Their self-proclaimed mission is to help people explore the great outdoors by delivering the best technical products on the market today. The Core High GTX Trail Hiking Boots are acclaimed by amateur and professional hikers for their comfort and reliability. Many choose to use these incredibly lightweight hiking boots as an everyday answer to their all-terrain needs. Waterproofed and with an impact brake system integrated into the Vibram Nano sole, this model offers stability and control. 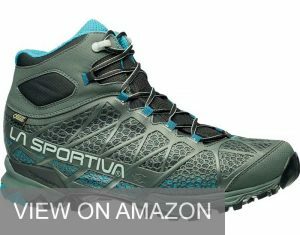 La Sportive Core High GTX Trail Hiking Boots, while reliable and comfortable enough for everyday use, may leave something to be desired in style and durability. Maintaining proper footwear is essential for those leading an active lifestyle. Take all issues, features, and benefits into consideration before purchasing to decrease the risk of receiving a less-than-impressive, or worse, completely useless, product. Columbia has been around since its 1938 inception and has been delivering quality products ever since. They’re based in the Pacific Northwest, which is home to some of the world’s most loved hiking areas such as the Alpine Lakes and Oregon Badlands. The family-owned and operated business pride themselves on delivering no-nonsense footwear, apparel, and accessories. Columbia hasn’t gone without their fair share of criticisms though. Mainly surrounding too quick degeneration for normal wear and tear and issues with low-quality materials, the critics have pointed out more than a few designs flaws with this brand, and the Men’s Newton Ridge Pluss II model, in particular. 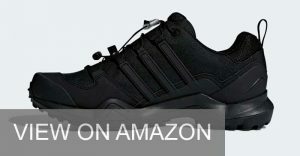 Mesh tongue provides top foot comfort. 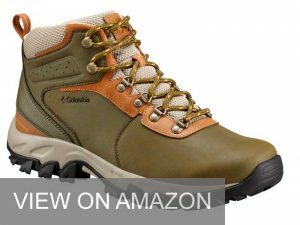 A wider selection of colors and sizes than many comparable lightweight hiking boots. Advanced traction affords great support. Too fast material degeneration from normal wear and tear. Possible design flaw with mesh tongue, creating issues with waterproof viability. Low-quality materials, especially where lace-brackets are concerned. This model is a hit and miss scenario, with many receiving high-quality, comfortable boots just as advertised, while some other reported experiencing major design flaws and quality issues. However, considering all aspects and outcomes will ensure you’ve made the right decision before moving forward with any purchase. Danner, like Columbia, has been around since the 1930s, opening their doors a bit earlier in 1932. Also an Oregon based company, Danner takes great pride in delivering handcrafted hiking boots made with quality materials, at competitive prices. In the 1970s, Danner set the standard for durable, rugged hiking boots for domestic use and still aims to set standards in the modern hiking industry. 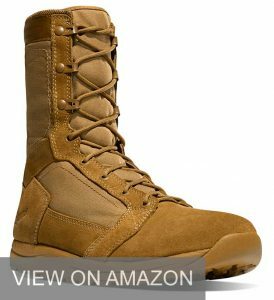 The drawbacks of Danner’s hiking boots, and specifically with the Men’s Tachyon 8 Inch Coyote Military and Tactical Boot is, again, issues with seemingly fluctuating quality control. While some receive the best of the best in what Danner has to offer, other have experienced boots made with low-quality materials that rip or tear easily. 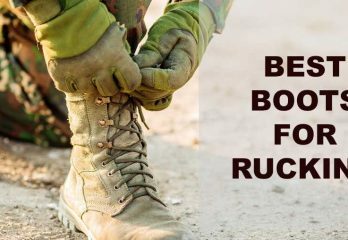 A few have even reported receiving boots clearly not in line with the product description as they were delivered in the wrong color or with a different company’s name and/or a ‘made in Vietnam’ disclosure stamp. This may be more of an issue with Amazon consumers than direct to company clients, as Danner claims to produce only 100% hand-crafted products. Hand-crafted boots ensure better attention to detail and thereby better quality control. 100% leather gives a rugged and authentic look and feel. 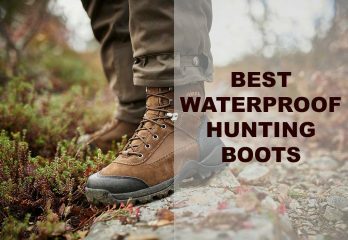 The 6.5″ shaft comes in as the tallest on this list and this is a big draw for many hiking aficionados. Very concerning possible quality and/or false advertising issues- possibly limited to Amazon consumers. Low-quality 550 strength laces come equipped. May run smaller than others. While the draw of an American-made handcrafted boot may be their biggest selling point, Danner has a lot to answer for when it comes to some of the claims being made against their products. Again, the issue could lie with the third party seller. It is nevertheless concerning and worthy of taking into consideration before moving forward with a purchase. Look for the most advanced waterproofing technologies. Gore-Tex is most commonly utilized and has been well-received by both manufacturers and consumers, alike. Arch support and ankle support are two major issues to take into consideration when purchasing any footwear, but especially when considering more expensive options for specific purposes. Look for boots and shoes which offers extra supportive technologies in these areas for the best results. Strong and reliable grip and traction are imperative to a good hiking boot. Look for an all-terrain advertised footwear option to assure top effectiveness. It will help to keep in mind when purchasing or considering to purchase any waterproofed shoes or boots, the very fact they will be used to block water will eliminate any possibility of ventilation. This typically causes the footwear to have a higher rate of heat-retention. Always check the sizing guides before purchasing to ensure the best fitting shoe or boot. Consider if style and color options are an issue or not. This can help to eliminate a lot of time as many shoes and boots offer little to no color customization options. If it’s not on your list of priorities, it’s safe to disregard the benefits of these features. When you’re planning to traverse across rough terrain in any manner of weather, it’s best to be prepared for the unexpected. Choosing the right footwear can mean the difference between cutting your trip short and having the time of your life. When wearing hiking boots with inadequate protections and little to no supporting features and technologies, the chances of developing debilitating sores and blisters is greatly increased. Taking the time to understand your options and what is available on the market will ensure a safe, happy hiking trip for all!